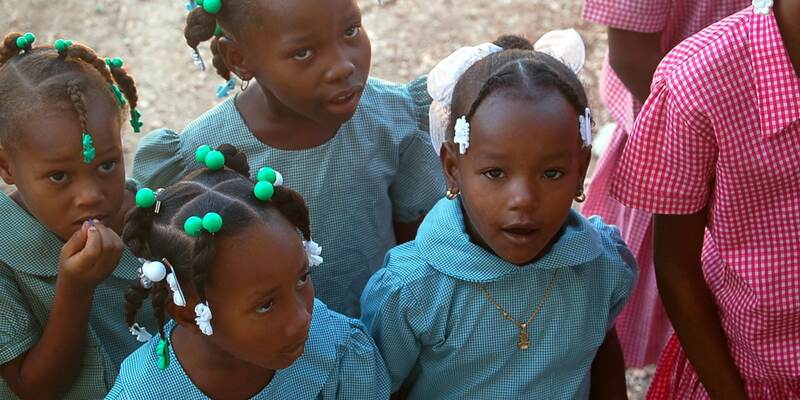 Only 50% of Haitian children will ever enroll in school. Of that 50 percent, fewer than 20 percent will graduate from 6th grade. Less than 10 percent will pass the national exams. While the government provides universal free education, school uniforms and books are cost prohibitive, and there is an extreme shortage of teachers. Teachers in rural communities do not usually have above a 6th grade education level themselves. Hope for Haiti Foundation believes the next generation is the future of Haiti and that education is the key to a better future for these children. HFHF runs a school to show the success of our model in rural communities. With 250 primary students and 250 secondary students, we have a 100 percent passing rates for our 6th graders and a 90 percent passing rate for our 9th graders. Because we believe in helping Haitians help themselves, empowering Haitian teachers is the best way to improve education in Haiti. Each year, HFHF works with more than 40 schools and hundreds of teachers to conduct trainings on curriculum, teaching methods, parent-teacher interaction, grading, and more. By empowering local communities to improve their own future, we are changing a nation, drop by drop. In 2011, HFHF opened its first trade school, teaching tailoring and computers. Future classes will include English, carpentry, mechanics, and musical instrument repair. Trade schools offer rural farmers an opportunity to learn a new trade and provide income for their families. It also brings services to the rural communities that are currently only available in larger cities, contributing to the growth of rural economies and communities. Want to get involved? Join us on a teacher training trip, or volunteer in the U.S. by donating school supplies or working with local schools. You can also provide education to a Haitian child for $360 a year ($1 per day) by a one-time donation or monthly recurring.